Rather than simply sit in awe of Wes Anderson's films, we've decided to break down what we can learn in terms of art direction, production, and good-old-fashioned design fundamentals. A quick survey of creative hubs on the web shows you just how many elements are in play in every single one of Wes Anderson's shots. The oldest trick in the book, but one that through an incredibly sophisticated sense of history (read Kubrick,) Anderson always seems to make the centered subject look new. Kogonoada gives us a brilliant rundown of perfectly scaled and centered shots. The harmony, excitement, and humor of Anderson's films don't stop with the writing. For someone who creates veritable worlds and whose films read like love letters to a genre or a feeling, the color in Anderson's films is a presence. Working with production, prop, and wardrobe designers, the defined colors of each shot show incredible design thinking, planning, and execution. There's even a tumblr site dedicated to this. 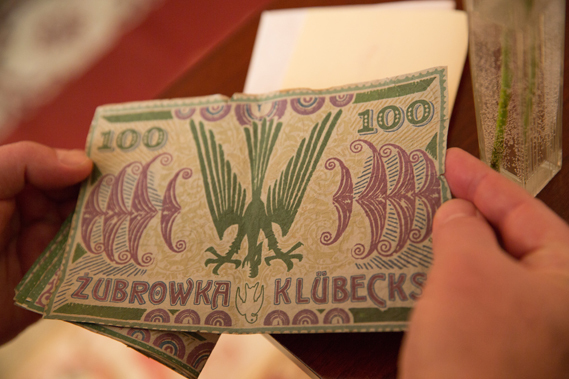 "...we were creating this entirely fictional country that Wes had written - the State of Zubrowka. It meant that every little detail had to be made from scratch - flags, banknotes, postage stamps, everything...I would start each graphic prop by showing Wes a real artifact from the time." As creatives, it's our job to sweat the small elements that build upon one another to create inspiring, unique, and meaningful design. Anderson's films show us how to tell our clients' stories in the fullest, most authentic ways possible.